Londoners know Spitalfields for its awesome markets and its important place in the timeline of London’s history! Spitalfields has been a notch on the infamous British cities history since the 1100’s! Yep, the area has been ‘around’ before much of America even existed! Impressive huh?! An area that has been blessed with breweries, bakeries and a diverse sense of culturally rich community. The Jewish, Russians and the Irish descended on Spitalfields in the 1700’s, opening shops, jewellers, and restaurants. Cultures that still shine through Spitalfields today. Walk around the streets of Spitalfields today and be faced with modern buildings coupled with historical architecture. Dine in new swanky cafes or old, dark and atmospheric pubs! A fusion of so many different places to have fun, relax and eat! Spitalfields market is a place tourists and locals flock to and is officially Londons oldest market. Open seven days a week and with over 100 stalls to wander through, it’s worth a detour to work up an appetite. The market is a heady mix of locally made crafts, beautifully made clothes, delicate homemade cakes and bakes and food trucks offering a huge variety of food. Food trucks with names like ‘The Duck Truck’ and with many dietary requirements catered for, you will easily find somewhere to let your inner sweet or savoury gluten free tooth loose! The market is held in the infamous undercover area; where for hundreds of years a market has been held. Restaurants and independent shops line the market outer rim and you will be hit in the face with smells of coffee, baked goods, and other stomach rumbling goodies. I have been lucky enough to live in this wonderfully diverse area of London and have eaten in many of the cute and quirky eateries. As a gluten free girl in Spitalfields, I was certainly spoilt for choice. I have listed a few of my favourite places to stop and watch the tourists wander by! There are some great small chain restaurants popping up that are hitting the gluten free menu nail right on the head. Independents will always get my vote, but when the food and ethics are good, who am I to argue. LEON – Chain restaurant alert! A very laid back fast food style place with wooden benches, large and bright menu options and food such as; poached egg pots and cranberry infused oatmeal. Menus offer great value for money and the ambiance is chilled. I have to say the coffee is not too bad either! Canteen – With an accolade of ‘Best British Breakfast’ I had high expectations and I was not disappointed. Although not an entirely gluten free restaurant, it certainly offers a large and varied gluten free menu. From traditional British bacon and egg butties to freshly made oatmeal, it is definitely worth a breakfast time stop. Pies have a sacred place in the heart of most Londoners. After all, the backbone of London’s bakeries relied on this classic dish for hundreds of years. Finding a gluten free pie that lives up to the recipe of old is no easy challenge, however, I happened to find one such place serving a pie Londoners would be proud of! Duck & Waffle – Great Pies! A restaurant with a view, situated on the 40th floor it offers an impressive and extensive gluten free menu as well as a unique setting. A little pricey, but what city restaurant with a view isn’t! An impeccable reputation and fresh, inspiring menu will leave you feeling like you have hit the gluten free pie jackpot. Must try the duck and waffles too! Ottolenghi – An independent restaurant offering a fusion of foods. With health and vitality at the heart of everything they prepare you will be taken to tastebud heaven. A light, airy and relaxed atmosphere and super friendly staff. Tuck into toasted orzo with roasted cumin broccoli or indulge on one of their many gluten free desserts. You will be back for more – I assure you! 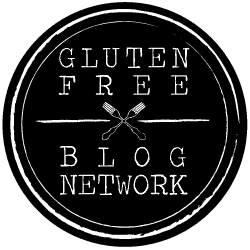 Gluten-Free Dining around the globe! You could easily eat dinner at the above two restaurants, but if you fancy a couple more gluten free options, the below two quirkier diverse gluten free restaurants should keep your hunger pangs at bay! Pho Restaurant – Vietnamese chain restaurant with zest! With a focus on freshly made and authentic Vietnamese food, this restaurant certainly offers a different gluten free dining option. Quirky décor and a very relaxed atmosphere give Pho a ‘go to’ for anyone wanting to try something different. Knowledgeable staff and a large menu help too. Andina – Peruvian restaurant that is small but perfectly formed. Any gluten free local will recommend Andina restaurant as a must eat place. With gluten free options a plenty and dishes such as black pudding served on quinoa toast and lamb sweetbreads, you will be suitably impressed. A small restaurant with a big passion for cooking awesome authentic Peruvian dishes. Finding somewhere to eat in any city is a daunting task, especially in somewhere as diverse as London. The area of Spitalfields is not only a place for great shopping, visiting places of interest and wandering around markets, it is a place full of places to enjoy some awesome British gluten free food.